The purpose of Ready To Look Younger is to help you improve your body and mind by sharing our anti-aging methods with you, so we gracefully age together and live the highest possible quality of life. Watch your body change by strategically choosing the starting point to improve your health. We've combined our knowledge in Physical Therapy, Personal Training, Nutrition, and Skincare to help you achieve this goal. you're in is necessary, or if you might be able to feel 'normal' again? In Ready To Look Younger, we're going to walk you through each and every step it's taken to help our top clients achieve the body, mindset, and success of their dreams. The key is: you are unique, and we'll explain how to adjust, based upon your specific needs, as an individual. Our education, network, and experience have taught us how to adjust a program, based upon your needs, as an individual -- like tweaking exercise program design or nutrition planning -- to optimize on the 'right now,' so you can get results you've never achieved on your own. Answer our 17-point checklist of questions, so we'll know exactly 'who' you are, 'what' you need, and 'where' you are, right now. Establish a starting point, based upon your responses, and our recommendations. Begin on 'your' Step 1, and progress from there. Your body is unique, but only because of your situation, as it stands at this very moment. Complete personalization of body redesign and youth enhancement is possible, and we'll show you exactly what we mean in a moment. We believe this is potentially life-saving information, and certainly qualify-of-life 'saving' information; so, we're going to give you the Anti-Aging Blueprint for FREE, but we'll ask you to make a small donation to help hungry & thirsty children as a goodwill exchange and proof of your level of commitment. 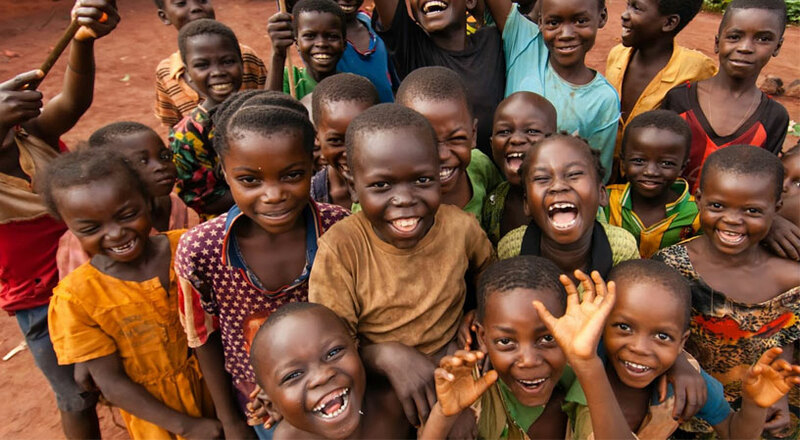 You read that correctly: we are not taking one cent from you; instead, we will pass your donation on to help children and their families have fresh water and food, thereby ensuring our work helps improve at least 2 lives every time we give it away for free. To honor these children and the lives you are enhancing, it's our sincere hope you'll put this information to work, and improve your life, too. With the Anti-Aging Blueprint, you'll learn exactly what you need to know to look and feel younger, see the steps outlined in front of you, and you'll decide if the information makes sense and is what you want to follow. It'll be blatantly obvious this information is right, and you'll 'get it' right away. This isn't 'one' program -- it's the simplest and most comprehensive version of everything we know, except it's 'only' the pieces that are relevant to you, right now. From the very beginning, you'll know what our recommendations are and why, and then you'll know what comes next. In fact, you'll be able to see the change in front of your eyes, and then decide if you want to invest your time and effort into the next step. Today, we'll simply ask you to fill in your information on this page, "verbally" commit to the plan, and make a small donation to help a child in need. 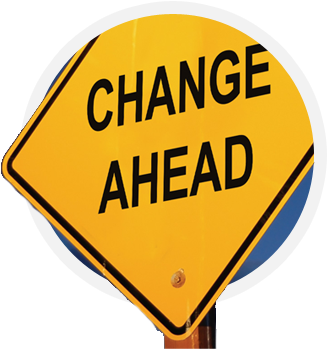 You're about to embark upon a health journey that is personalized and adaptive, so as you adjust, it will with you. I guess the real question is, do you really want to change? Your chance -- your opportunity -- is now. And we're not making a dime, while you peek over our shoulders and see our exact personalized and customized plan, just for you. Besides, if you get even half the results of our other clients, you won't be sorry. Go ahead and fill in your information on this page, and we'll get you started right way. Wow! Ready To Look Younger is so simple to follow, and I've never seen results anywhere close to this! I'm 64 years old, and I couldn't be happier with my results. Even my doctor was impressed and bought a copy! I donated for a child in need and gave this to my mom; she used it and gave it to my dad. They both look 15 years younger, and it's only been 30 days! In accordance with the latest FTC guidelines, we want to make it explicitly clear that the customer reviews above are based on the unique experiences and circumstances of a few people only. We cannot promise that you will experience similar benefits from using our product. The general results from our product in regards to specific health conditions and injuries, in these particular cases, has not been scientifically validated and we will not make promises in regards to specific results. This clinically-tested, researched, and internationally-acclaimed personalized aging assessment is an invaluable, possibly life-changing health resource that is a tiny investment in your every day, no matter if you're busy or feel like sitting on the couch, or even when you're feeling on fire and want to keep your flow. Grab your FREE and personalized plan from Ready To Look Younger today to make sure no matter where you are, you're never more than arm's length away from a plan that's designed to help you look and feel better within the first 24 hours. PLEASE NOTE: The customized recommendations you're about to receive are digital; you will not have to wait for anything in the mail. You will immediately get sent a customized plan to help you look and feel years younger, and you will never lose access. The quality of your life is about to improve. We are giving you a customized plan, absolutely FREE; however, we are asking for you to pay forward this kind deed by helping a child in need of food and water. No one deserves to live their life hungry or thirsty -- wasting away from malnourishment -- and we hope to solve this, together. Besides, if you get even half the results of our other clients, you won't be sorry. Go ahead and fill in your information on this page, and we'll get you started right way. What exactly is Ready To Look Younger and who is it for? Ready To Look Younger was designed for anyone over the age of 25, who has reached full adulthood and is interested in preserving the quality of his/her life, while continuing to look and feel great at the same time. Our mission is simple: survival of the species. By sharing our best secrets with you, we are helping humans survive, and we hope you'll do the same. Besides, we consider it a win every time someone invests, because you're enabling us to help a hungry child; a human who's only begun his/her life, and who deserves every chance we've had to prosper and live happily. What if I actually need personalized attention and help, from a live person? We've got you covered on that one, too. We've brought on our "Dr. Kareem Certified" team of Master Trainers, who you can hire on a one-on-one basis, and only for the amount of time you need. No more expensive personal training and nutrition coaching packages in the gym. These are the best in the field, and they can help you too, but only when you actually need them. The rest of the time, you'll save tons of money, time, and effort. What if I'm a beginner and I've never tried any program before? Do I really need this? Yes -- that's all the more reason. Don't let yourself get confused or overwhelmed with another program that shines with outstanding marketing, but doesn't 'get' you. Instead, focus on finding the 'right' path, from the beginning, with a team of outstanding professionals who are dedicated to your cause. What if I'm advanced, already look great for my age, and feel I understand Anti-Aging well? That's awesome. But, please consider the future of your joints, skin, health, hair, body composition, and range of motion. There are certain steps you can take, right now, to help yourself age more gracefully. We're pretty sure we can help you improve, and our absolute 'favorite' client is the one who wants to optimize, rather than react. You're in great hands, and we're just like you. We don't take our own health for granted, and we already know this stuff. We're constantly researching, networking, and learning from others... and we suspect you're doing the same. Please allow us to share what we're learning, so we can help you, too. What if I'm in my 60's, 70's, or 80's? Will Ready To Look Younger still help me? Then congratulations, because you have the most to gain. In actuality, your life can -- and will -- improve by leaps and bounds when you incorporate just a few tips we offer you in Ready To Look Younger's personalized anti-aging plan. I'm sure you understand how much difference it would make to get on/off the ground without any pain or discomfort, to play with your grandchildren (or future grandchildren) and have lasting energy to enjoy without feeling fatigued, or to fool people into thinking you're 10, 20, or even 30 years younger than your age. You're in a golden era, and your wisdom will be passed on through future generations. The time to lead by example -- and to live for every second you have -- is now. Please allow us to help you. What if I'm too young for Ready To Look Younger? Can this still help me? Sure, because not only will Ready To Look Younger be able to set you up with lifelong healthy habits that slow down the physiological aging process, but you'll serve as an inspiration to your parents, grandparents, and loved ones. You are the generation that will make this information real, and common sense. It's up to you to lead, to believe in a better outcome for humans, and to put forth your best effort, while you have the energy to do so. Believe in us, because we believe in you. What if I have Diabetes? Can Ready To Look Younger help me with my blood sugar issues? For reasons of compliance with the FTC (Federal Trade Commission) and compliance with medical authorities, we cannot make any promises regarding solving, or even helping with Diabetes. However, our clinical experience has shown that our patients and clients who have followed our advice over the years have benefited extremely, and, in some cases, made their Diabetes 'feel' dormant. This means, they have been able to stop taking insulin, stop checking their blood sugar, and stop experiencing loss of sensation, sight, or other horrible side effects of Diabetes. As with any medical diagnosis, it's important you regularly get evaluations from a medical professional, and you keep them closely in the loop. Having said that, we humbly hope and believe you'll shock your doctors, get them to help a hungry child and invest also, and then share this information with their patients, too. What if I have Heart Disease? Is there anything I can do to restore the quality of my life? For reasons of compliance with the FTC (Federal Trade Commission) and compliance with medical authorities, we cannot make any promises regarding solving, or even helping with Heart Disease. However, our clinical experience has shown that patients and clients who follow our advice have been able to get off of blood pressure lowering medication, statins, and even reverse heart disease, according to some of their doctors. Of course, this is no shock, considering that medical professionals have created resources like ExerciseIsMedicine.org, where you'll see that it's now recommended by doctors across the world to use exercise as a prescription, whenever possible, in place of other drugs. Exercise, and proper diet, have been shown to reduce heart disease and increase quality of life. We hope that you'll share your experience in Ready To Look Younger with your doctors, get them involved, and help other humans eliminate the "silent-killer." What if I've had a Stroke? Will Ready To Look Younger help me, even if I can only use one side of my body? For reasons of compliance with the FTC (Federal Trade Commission) and compliance with medical authorities, we cannot make any promises regarding solving, or even helping with the after-effects of Stroke. However, our clinical experience has shown that patients and clients who participate in exercise, eating, and mindset programs that help train both sides of their bodies -- by planning movement first -- will actually increase movement on the affected side of stroke. In these cases, our patients and clients have reported feeling less symptoms, and even feeling the quality of their lives has been restored. We hope you'll regularly seek medical attention -- as you should with any new health program after having a Stroke -- and share your findings with your doctors. We suspect they will get on board, and help you understand when you are moving in the right direction, so you can get back to living a super high quality of life. What If I have dementia or have been diagnosed with Alzheimer's? For reasons of compliance with the FTC (Federal Trade Commission) and compliance with medical authorities, we cannot make any promises regarding solving, or even helping with dementia or Alzheimer's Disease. However, there is strong research pointing to improving oxygenation to the brain and body, and it's link to improved memory recall, focus, and both long and short-term memory. Additionally, improving dietary habits has been shown to reduce cloudiness of the mind, or increase sharpness, and we've seen the same results in our clients. If your mind wasn't fully optimized before you began losing your memory, then there is potential to help you improve. Please make sure to involve your doctor, as with any new health program, so you can objectively measure your progress. What if I have Rheumatoid Arthritis, Fibromyalgia, or some other form of chronic pain? For reasons of compliance with the FTC (Federal Trade Commission) and compliance with medical authorities, we cannot make any promises regarding solving, or even helping with chronic pain and disease. However, our clinical experience with patients and clients who suffer from these diagnoses points to huge benefit when they follow our advice. In our experience, there is suffering of the body, the mind, and the spirit in all of these cases. Taking care of only 'one' of these areas is common practice in medicine, due to best intentions and specialization, but we believe in helping you improve in all three categories. Our best success stories have been able to improve function and reduce pain by up to 80% (on a self-rated scale.) Imagine if you only achieved half of this... what would your life be like? Please be sure to keep your doctors in the loop, get regular evaluations, and share anything you learn to help their future patients, and us, in our efforts to help you. What if I've tried hiring a Physical Therapist, Personal Trainer, or seen a bunch of Doctors? Well, then, you're basically like everyone else we've seen, trained, or helped. Most people find us 'after' they've tried everything else, possibly due to our credentials... But, we'll never give up on you. Generally speaking, there are a few tweaks, beginning with true personalization of programming, that will lead to your best possible health result and outcome. 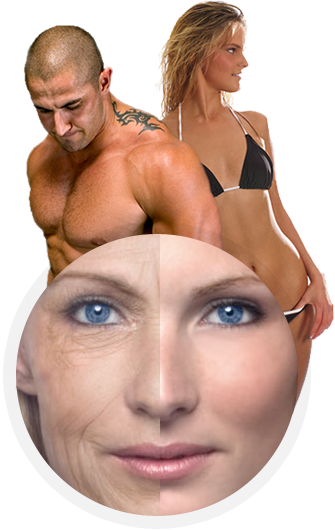 We fully intend to help you look and feel younger, but most importantly, reduce your physiological age. Even if you've tried everything else, we strongly encourage you to give this a shot. Worst case scenario: you'll feed a hungry kid; best case scenario: you'll feel amazing!